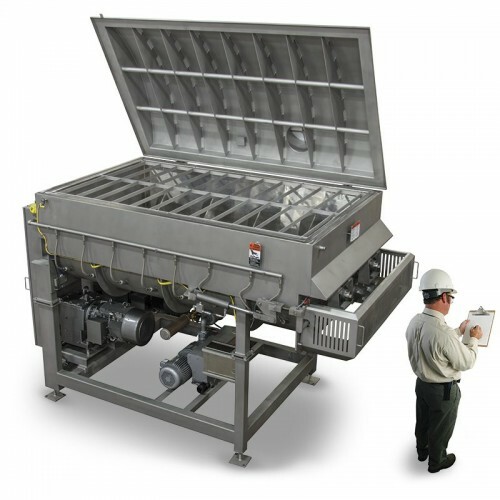 The dual shaft standard blenders are meticulously designed with heavy-duty agitation systems to deliver a more uniform and consistent product mix. 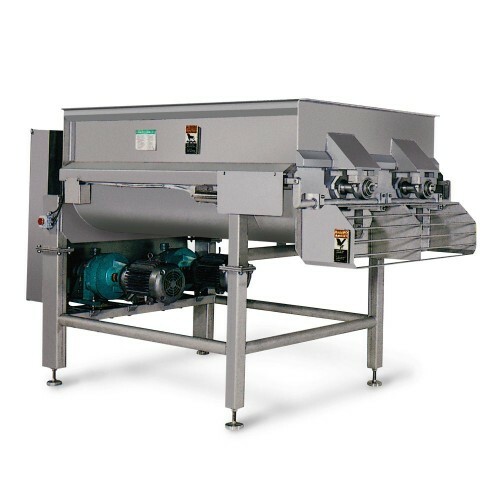 Complete with air operated discharge doors and a weld in top safety grate, this hard working dual-drive blender provides your production line with the capability of blending meat, spices or frozen vegetables. 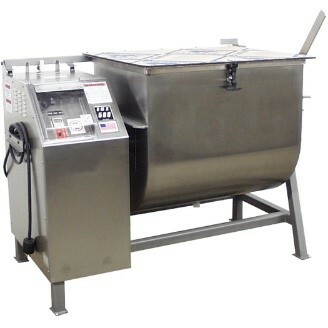 Minimum capacity of 150 lbs to a max of 14,000 lbs the Workhorse dual shaft standard blender fits your blending needs. 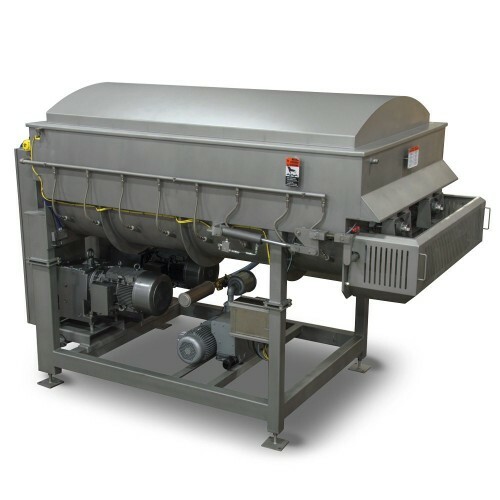 The CO2 Series of our highly regarded blenders provides rapid cooling with a direct bottom CO2 injection. Th CO2 system includes valves at each injection point. Plus, this dual shaft blender includes the stainless steel flex hosing, a domed lid, a vent for the safe release of CO2 outside of the plant, a temperature probe and comprehensive controls for an optimal CO2 operation. Gain more versatility! Add the optional vacuum operation for an all-in-one blender!